Generally mention the word "animal" and most people think of a vertebrate animal -- and more particularly a higher vertebrate, especially a mammal. Vertebrates are large enough for people to relate to, and most like us in appearance and structure. Hence they are distinguished from all other members of the animal kingdom, which are considered "bugs", "worms", etc. Not surprisingly, when Linnaeus was formulating his systematisation of nature, four of his six classes of the animal kingdom -- mammals, birds, amphibia (including reptiles) and fish -- were vertebrates. Vertebrates are animals with a backbone. They differ from other Chordata in that they possess at least some rudiments of a vertebral column or backbone instead of (or in addition to) a notochord. There is a well developed head, with the brain encased in a skull or cranium. Most vertebrates have an elaborate internal skeleton that acts as a support for muscles and organs. The advantage of an internal skeleton is that it allows the animal to grow much larger than is the case with the arthropod-type exoskeleton. All vertebrates have a single heart and closed circulatory system. They also possess ductless endocrine glands that play a critical role in regulating the body metabolism. In their circulatory, excretory, and endocrine functions, vertebrates differ markedly from other animals. The vertebrate body plan has proved extraordinarily successful. Since their first humble beginnings in Furongian seas, the Vertebrates have conquered the land, sea, and air. 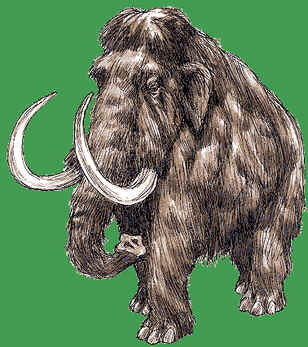 Thre are some 45,000 living species, and who knows how many extinct forms that have lived and died in past ages. MAK010430.